The Soap Opera is considered a “Woman’s Genre”, not only because housewives are the primary audience, but because the form was invented and perfected by women in the man’s world of network broadcasting. These women included Anne Hummert, who teamed with her husband Frank to become one of the most prolific producers of Soaps; Elaine Sterne Carrington, who penned Pepper Young’s Family, When a Girl Marries, and Rosemary; and Sandra Michael, of Against the Storm and Lone Journey. 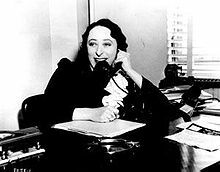 Perhaps the most important and influential of these “Mother’s of the Soap Opera” is Irna Phillips. Phillips’ own life had many of the elements that would later make her Soap Operas so popular. She was the youngest of ten children, her father passed away when she was 8, leaving her mother alone to raise the children. She claimed to have been a lonely and sickly child, stuck in hand-me-down clothes and making up long and involved stories for her dolls to live out. At the tender age of 19 she found herself pregnant, abandoned by her boyfriend, and eventually the mother of a still-born baby. She sought training as an actress, but was told by her teachers that she was too plain to have any real success. She taught for a time, and found herself working for WGN, Chicago. In addition to voice-over work, she did some acting and writing for daytime talk shows. A station executive tasked Phillips with writing a story “about a family.” The result was Painted Dreams, thought to be the first daytime serial drama (Soap Opera.) Phillips was the head writer and actress on the program, which featured Mother Moynihan, widowed matriarch of a large Irish-American family. Mother Moynihan was based on Phillips’ own mother’s struggles. When she wanted to try to take Painted Dreams to a national audience a dispute over ownership of the program arose. 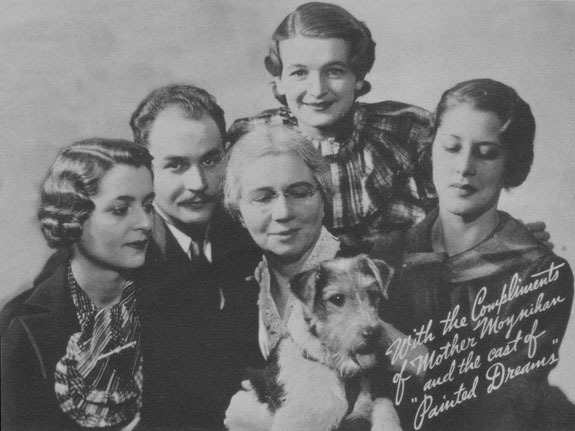 While the dispute was being settled (Painted Dreams eventually became property of CBS) Phillips approached cross-town rival station with Today’s Children, which was mostly a repackaging of Painted Dreams, (Mother Moynihan became Mother Moran.) The series ran from 1933 through the end of 1937. When Phillips’ mother passed away, Irna felt she had lost the inspiration to go on with the series. However by this time she had another project ready to begin. Woman in White would be the first serial drama that dealt with the internal workings of a major hospital. Phillips’ protégé, Agnes Nixon, has suggested that her mentor’s fascination with hospitals had to do with her hypochondria. Perhaps Phillips’ greatest legacy is The Guiding Light, which began on radio in 1937. The program would last through the transition to television, and when it was finally cancelled in 2009, it was the longest running program in broadcasting history. The story and characters were again inspired from Phillips’ own life. During troubled times, she received spiritual comfort from the broadcast sermons of Preston Bradley, founder of the People’s Church in Chicago. The beginnings of The Guiding Light centered on the work of Rev John Ruthledge, who kept a lamp burning in his study so his flock knew he would be available to help with their many problems. Irna Phillips is said to have had a unique writing process. In contrast to the high level of control and formulaic technique used by Anne Hummert, Phillips would “act out” her stories in front of a secretary, who would make notes and generate the scripts. Irna Phillips other Soap Operas include The Road of Life, Young Doctor Malone, The Brighter Day, and long running television Soaps As the World Turns and Another World. This entry was posted in Old Time Radio, Soap Opera and tagged Against the Storm, Another World, As the World Turns, Brighter Day, Guiding Light, Irna Phillips, Road of Life, Rosemary, Today's Children, Woman in White, Young Dr Malone. Bookmark the permalink. Phillips is the queen of daytime. I always heard that Miss Phillips was Jewish.